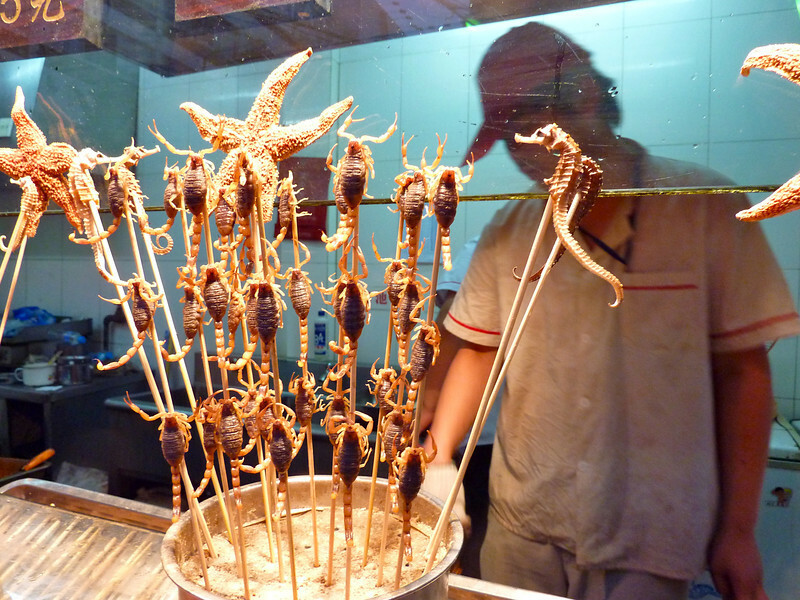 Street food in Beijing offers scorpions and seahorses on a stick. You pick the stick you want and the cook throws it in the fryer for a few minutes before giving it to you. Bon appetit!